A couple months ago I got a chance to meet Micayla who's the founder of Celebrate Toronto : A growing event celebrating the birthday of the city. Toronto's turning 182 years old this year and for the past 3 years she's been honouring the official birth of the city by throwing it a party. As part of the festivities, artists are invited to submit their artwork to showcase and sell the night of the show and throughout the entire month of March. This year, 10 Toronto Urban Sketchers, including myself, will be participating to the artshow. 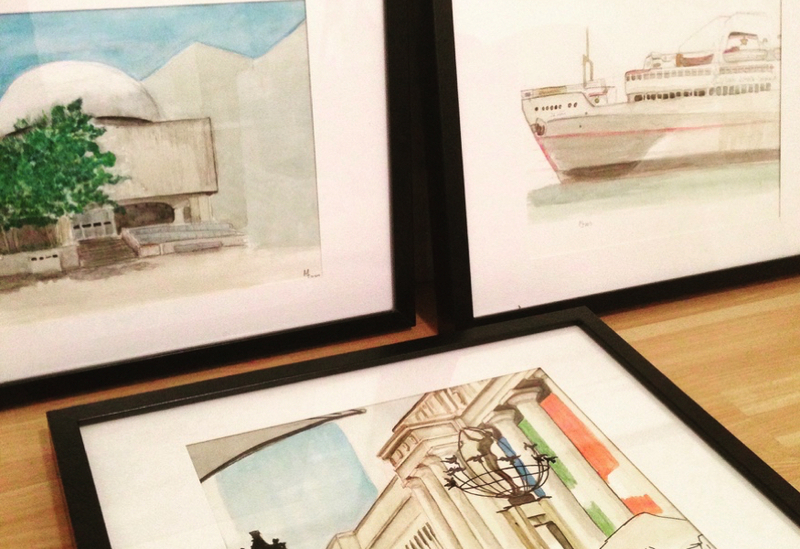 Above are the three artwork that I submitted for the show, two of which are also in our recent publication : Urban Sketching Disappearing Landmarks in Toronto. I also got a chance to interview Micayla for my podcast a couple weeks ago. Below is a highlight regarding the event. You can still get you tickets for the show on the main site or at the door.